Background Information- The poison spell card can be used in many ways. The poison card can also do damage over time, which in some cases is good and in some cases is bad. The main reason I think this card is underrated is because the fireball does more damage in an instant compared to the weaker poison spell card that does less damage slower. I think people are scared of the damage over time aspect of the poison spell because they cant stop a fast moving puish quickly. However, I find that the poison spell’s damage over time feature actually makes it better than the fireball in some cases. In the guide, you will see the poisons spells stats at level one and when it is at max level. You will also learn about how the poison spell may be more useful than the fireball. Poison Spell Arena Unlock- The poison spell is unlocked at Arena Five. This arena is more commonly known as Spell Factory. Spell Factory is achieved by getting over 1400 trophies. Other cards spell factory unlocks is the zap spell, the fire spirits, the wizards, the furnace, the mirror, and the second unlockable legendary, the wizard. Of course, like any other card in the game, the poison spell can be unlocked in any arena higher than spell valley. The poison spell can also be earned in Pekkas Playhouse, or Arena Four, by beating a higher level player that is in Arena Five. This will let you get a chest from Arena Five while still being in Arena Four. Poison Spell Stats- The poison spell is an epic card so it is a lot harder to collect and upgrade them than common cards or rare cards. I do not recommend free to play players to try upgrading this card along with other epics as the epic cards will fall behind your common card and rare card’s levels. The cost of the poison spell is four elixir so compared to other cards, it falls into the low to mid cost range. The poison spell has a 3.5 tile circle radius which makes it have a total circular diameter of 7 tiles. The poison spell targets both air and ground troops like all the other spells which makes it very versatile and strong. It does its damage throughout the period of 10 seconds and is considered a damage over time spell. To find the total damage of the poison spell, just multiply the damage per second stat by ten. This is the only spell that does damage over time because the other spells like zap or the fireball does its damage all in an instant. It costs 4 elixir which makes it very easy to compare to the fireball. When compared with the fireball, you see that the poison spell does a little less damage but has a lot bigger range. The fireball also has a knock back special feature while the poison spell has the slowing ability. A level one poison spell does 42 damage per second on troops and other buildings and only 17 damage per second on crown towers. A maxed level poison spell does 81 damage per second on troops and other buildings and only 33 damage per second on crown towers. Poison Spell Offensive Tactics- Since the recent nerf to the freeze spell that decreased its duration by one second, the poison spell is finally feeling some love. However, many people either do not have it or chose not to use it. I feel that the poison spell is better than the freeze spell, even before the freeze spell’s the nerf. 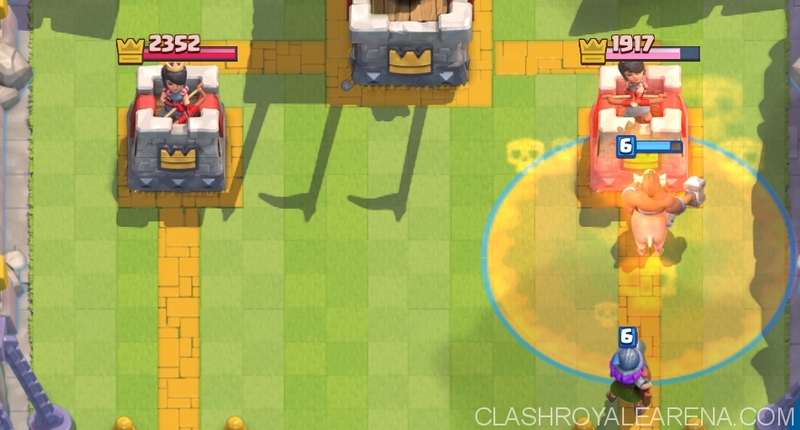 Combined with the hog rider, you make your opponent really stress out on how to defend the push if they do not have a building. If they place goblins or minions, or another small troop like that, they will pretty much die instantly. Additionally, the most common counter, the barbarians, are rendered nearly useless. 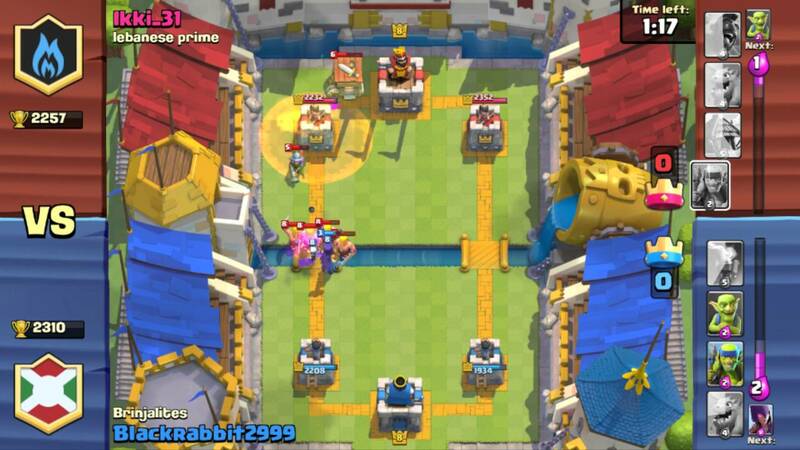 Not only will the hog rider still get a few hits off their tower, but their is also the poison spell doing around 200 damage to the tower. Also, another 500 damage is being put on each and every single barbarian that is defending. The poison spell does not stop their though, it brings another offensive capability to the hog rider push. The poison spell also slows down enemy troops. This makes the towers, buildings, and any other structure do less damage per second. This ability that the poison has helps keep your troops alive faster and hit harder in comparison. This hog push isn’t the only thing the poison spell can help out with. Because of its huge radius, you do not need very good accuracy to place it. This helps when you are doing a very fast push and need to send a lot of troops in a short amount of time. The big radius also makes it harder for your opponent to defend from. They have to spend more time moving their fingers around so their spear goblins don’t enter the sticky sap. A few seconds can be huge, as huge as giving your hog rider enough time to get one ore hit to tear down a tower and win the game. Poison Spell Defensive Tactics- The Poison Spell also works very well when defending. The poison spell’s big radius helps it capture every single oncoming enemy troop that spawned in. If there is a minion horde behind a giant or golem, the poison spell will kill every minion before they even land one shot onto your tower. Additionally, the poison spell will damage the giant or golem down a bit and do an additional 500 damage onto him. Another great thing to use the poison spell on is the prince, dark prince, and the pekka strategy. The poison slowing ability will make the princes’ charge only a damage buff and not a speed buff which really helps. Their slower speed is also shown helpful when you use barbarians to counter the push. The barbarians will no longer be annihilated by the dark princes splash damage. They now survive against and kill the dark prince entirely. Also, once the dark prince is out of the war, having an inferno on defense and some skeletons will finish the job. You just defended a 16 plus elixir push with only 15 elixir and you got a free inferno tower out of it. The poison spell can be treated like an ice wizards in most strategy because it is fairly cheap, only one more elixir than the ice wizards, and it slows the enemy troops like the ice wizards. Even though it costs one more elixir, the damage it does compared to the ice wizard and its radius compared to the ice wizard’s splash radius more than makes up for the difference. But this is not even the best part about the poison spell. When playing against hut spammer decks where the opponent has the tombstone, goblin hut, barbarian hut, or furnace, the poison spell can be a game changer for you. In this case, the damage over time created by the poison spell. The poison spell can do damage to usually one building or hut and the crown tower. Most of the time though, you can hit an elixir collector, building or hut, and the crown tower or 2 buildings or huts and the crown tower for an extremely good elixir advantage. In addition to this great deal for you, the poison provides another thing since it is a damage over time spell instead of an instant damage spell. The poison spell gets to kill a few spear goblins, a few fire spirits, or a pair of barbarians. This can really help you out in a battle especially when a few huts are out. This can save you a few extra elixir by not needing to use elixir to defend from it. Random But Very Interesting Facts and Trivia-This section will have irrelevant information about the tactical use of the poison spell. However, it may be fun to read these points as they may make you notice some things that you have not experienced yet. The Poison spell was added to the game on February Ninth 2016 with the March Update. On March 23 2016, a Balance Update increased Poison’s damage by 5%. Its uses similar mechanics for its use in Clash of Clans. Unlike in Clash of Clans, Poison damages buildings too. It also deals a fixed damage per second, unlike in Clash of Clans where it does scaling damage over time. Troops also do not run away to the edges of thew poison spell unlike the ones in Clash Of Clans. The Poison uses the same deployment and sound animation in Clash of Clans. Even though it says “leaves the grass green”, some Arenas do not have grass, such as the Bone Pit or the Pekka’s Playhouse. In the May Update, the description of the Poison was changed. The description prior to this update was “Covers the target area in a sticky toxin, damaging and slowing down troops and buildings. Remember: solvent abuse can kill!” Troops affected by poison sound lower pitched.